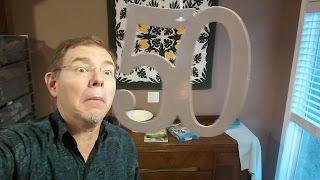 I have a lot to say about the philosophical implications of turning fifty, but that discussion would take far more than fifteen minutes. For now I'll content myself with simply sharing a little bit about the big day itself. Looking back, the first thing I notice is a major failure in the picture taking department. It was a big, busy day and I have almost no photographic evidence. Sad. My grand dreams of celebrating this birthday with a Caribbean cruise were abandoned years ago. So were most lesser celebration dreams. But with the whole family together, even doing the weekly shopping trips and SportClips run counted as a celebration of sorts. And of course, no Don birthday would be complete without pizza. Minsky's Pizza is a local pizza chain that has both gluten- and dairy-free options, so we were able to order pizzas that everyone in the family could eat. Sure, we could have fed the family a steak dinner for what we paid, but it wouldn't have been pizza, so what's the point of that? Sadly, again there were no pictures. But trust me, it was delicious. I think it's going to take a while for me to decide how I feel about being fifty. 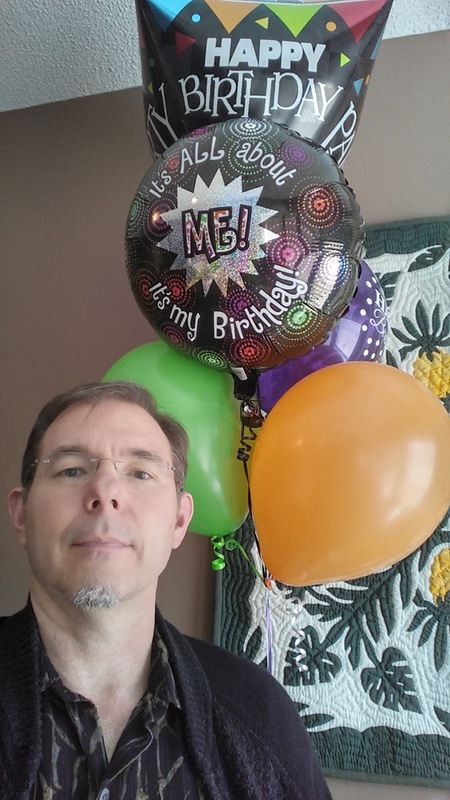 But my family did a great job at making sure that turning fifty was an experience to be cherished.